Thursday and Friday were crazy, many châteaux releasing their prices. Most went down, some kept their price at 2006-level, and some even went up. With the release of Château Margaux on Thursday the conclusion of the campaign is in sight, but we're not there yet. The coming week will be the last week of the campaign with the release of the other first growths and the remaining châteaux that are either slow or too cautious, or maybe consider themselves as first growths (Léoville-Las-Cases, Ducru-Beaucaillou). 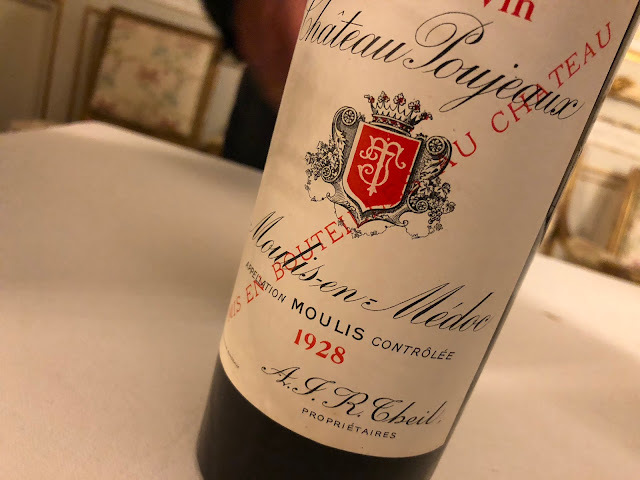 Château Margaux came out about 25% lower than last year, and is of course still rather unaffordable with a resulting average consumer price (for the first tranche) of about 325 euro (including VAT). Being confronted with this price, a pharmacist from Geneva, Illinois, wrote on the Wine Spectator forum: "Best laugh I've had in some time...". Taking into account (also) the weak dollar, I think he meant that the wine is expensive. Château Palmer was released yesterday and will cost about 155 euro, 12% less than in 2006. Château Cantenac-Brown was released 12% below its crazy 2006 price, and is unfortunately still priced above its class. And unless the fact that 2007 is a tough sell, at the end of this week one could sense the primeur fever with the négociants. Some wines are already hard to get − like in normal years: e.g. Léoville-Barton and Pavillon Rouge are playing hard to get (not to mention Pavillon Blanc). All the details and prices: check out Bordoverview.